John Lambiris knows just how important STARS air ambulance is. Lambiris, the Union of Canadian Correctional Officers (UCCO) regional vice-president, remembers when two of his co-workers needed emergency medical care, and required quick transportation to get it. He never forgot how vital it was to have a strong air ambulance crew ready to help. “In my opinion, without Stars, those two people wouldn’t be with us today,” he said. It’s not just co-workers who’ve needed the service either. Lambiris said a family member has also used STARS during an emergency, so he knows how important it is to make sure the organization is well funded. 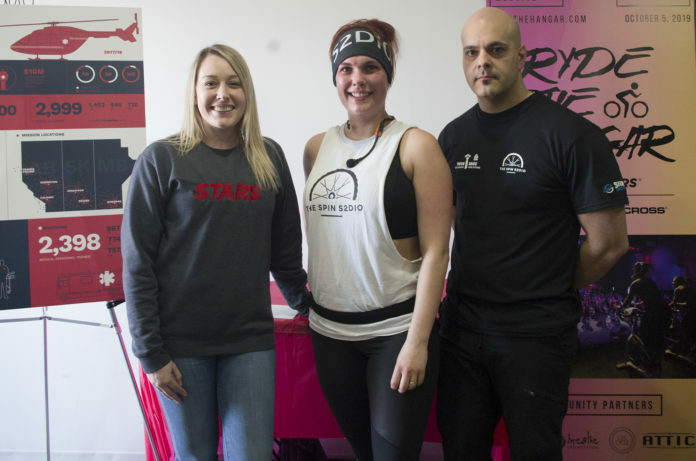 That knowledge is one of things that led to Sweat for the Stars, an inaugural spin class fundraiser designed to raise money for the emergency air ambulance, while also giving donors a good workout. Lambiris and UCCO approached Spin S2DIO owner Desiree Hesson earlier this year about hosting the event, and things quickly took off from there. On Saturday, a packed room of participants raised more than $11,000 for Stars, well above the $5,000 to $6,000 Lambiris expected. 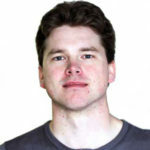 For Hesson, partnering with UCCO for Sweat for the Stars was not a difficult decision. She said it’s easy forget about STARS because the organization goes about it’s work quietly and efficiently, and because most residents will never have to use it. She’s thankful they exist, and eager to help out with any fundraising efforts. She’s also eager to help bring people become more involved in spin classes. It can be a little overwhelming, she explained, but she’s hopeful Sweat for the Stars gave participants some more confidence, in addition the fundraising. Sweat for the Stars organizers are already in plans to hold a second event next year, largely due to the great response from local individuals and businesses in Prince Albert. STARS Air Ambulance first began operations in 1985. Since then, the organization has carried out more than 29,000 missions from its six bases, two of which are in Saskatchewan. The organization is currently trying to replace its aging BK117 helicopters currently in use with new H145 helicopters that cost roughly $13-million each. The goal is to purchase nine of the new helicopters over the next five years, with three of them designated for use in Saskatchewan.